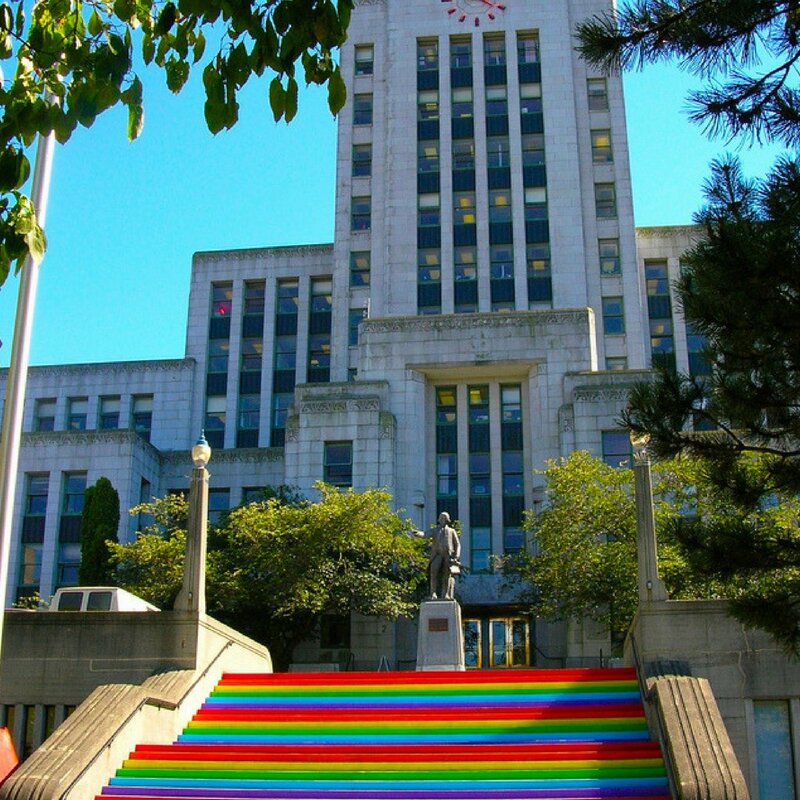 What, they painted the stairs rainbow but not the Captain Vancouver statue? 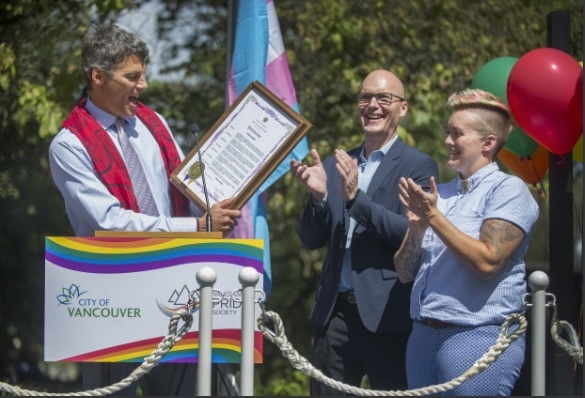 On May 23rd, the City of Vancouver officially launched their “Year of the Queer” proclamation with a panel discussion in Council Chambers, followed by food trucks, live music, and the raising of trans and rainbow flags outside City Hall. The City’s enthusiasm for (some) queers should come as no surprise to those of us familiar with terms like “greenwashing”, “artwashing”, or “pinkwashing”, all of which the municipal government has rightfully been accused of. Proclaiming 2018 the Year of the Queer not only boosts Vancouver’s liberal PR image, it also demonstrates how defanged queerness fits neatly into multiculturalism, which is the dominant policy the Canadian state relies on to manage cultural, racialized difference. Sandra Singh, General Manager of Arts, Culture, and Community Services, began the presentation with the claim that the “arts, culture, and creative sectors” are “critical” to the city’s capacity to cope with “a new digital era, accelerating inequality, and the urgent need to develop more sustainable ways of living.” The City’s declaration that inequality and the climate crisis require cultural production, rather than, for example, the eradication of capitalism and colonialism, is reinforced by multiculturalism, which moves conversations away from economic justice (radically defined as destroying colony and capital) toward questions of cultural representation. The Creative City Strategy, adopted in May 2017, seeks to create a new strategy to develop arts and culture in Vancouver. 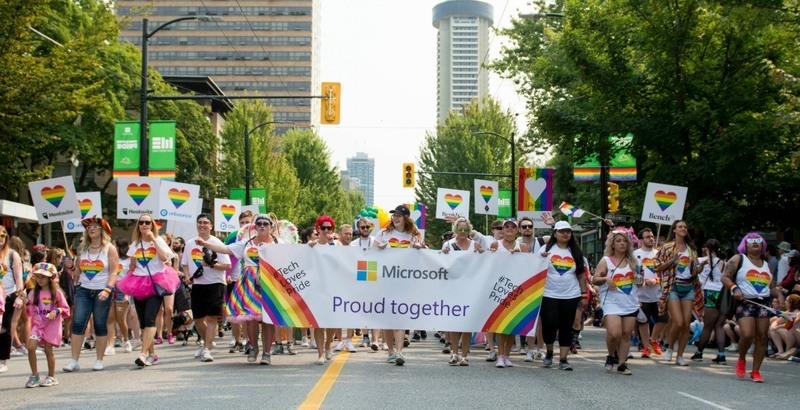 The first phase involved research, which included both organizational and industry stakeholders, as well as focus groups organized across identity categories, with labels like: Indigenous Artists, LGBTQ2+ Artists, and Dis/ability, Deaf, & Mental Health Arts. I participated in the LGBTQ2+ focus group, though my suggestion that the City abolish its police force did not make it into the official report. The City’s attempt to represent the interests of all its stakeholders results in cartoonish incoherence (my favourite phrase in the report is “hyperlocal internationalism”). Staff reported that participants are concerned about displacement, but also that participants like “co-located” spaces such as Woodwards—a devastating development that priced more than 400 low-income tenants out of the blocks surrounding the gentrifying building. Participants are concerned about housing affordability, but are also interested in attracting “global capital” to Vancouver that is “best tethered to investment in distinctive and diverse hyper-local communities at risk of displacement” (????). The report also claims that Indigenous participants want “cultural sovereignty”—I’m guessing national sovereignty wasn’t on the table. It is not difficult to imagine what the City will do with conflicting demands, and which ones they will ultimately accede to. Even when the City purports to support the self-determination of marginalized groups, as with its offer of reparations to the Black community with the inclusion of the Hogan’s Alley Working Group’s vision in the recent North East False Creek rezoning plan, it comes with a price: the upzoning and gentrification of the rest of the area outlined in the plan. This is the promise and the farce of multicultural liberal democracies: a politics of individualized parity, which means that even when the City listens to the voices of the Black community, it remains equally attentive to the voices of the real estate development “community.” Similarly, the voices of poor queers and artists facing displacement must be held in balance with the voices of tech industries who need global capital. When criticizing government initiatives like the Creative City Strategy for failing to produce policies that actually prioritize the needs of marginalized populations, we must not overestimate the importance of the composition of City staff or elected officials. If we attribute such failures to the lack of adequate representation in office, then our struggle becomes one of inserting ourselves into a system that is designed to entrench colonial and capitalist power, irrespective of the intentions or values of the individual actors within it. While the increasing diversity of people with power might reflect the success of social movements, seeing politicians or capitalists (rather than people engaged in collective struggle) as the agents of change misses the point. City Council did not vote down multiple 105 Keefer rezoning applications despite their overall whiteness or because of their individual feelings, they did so because their hand was forced by a combination of historical conditions, including the collective power of organized people. The myth that an individual with the right identity can somehow structurally reform a system by gaining entrance into it affords a false power to individuals, and also essentializes identity. Within this framework, individual identity is conceived of as constantly representing an abstract community. A week before the Year of the Queer launch, Tim Stevenson declared at an International Day Against Homophobia and Transphobia event that what “we” need is more queers in electoral politics, to which the crowd cheered. After all, why wouldn’t we want to be represented in mainstream institutions of power—politics, corporations, mainstream media, the non-profit sector—when queer experience has been so marked by social exclusion? 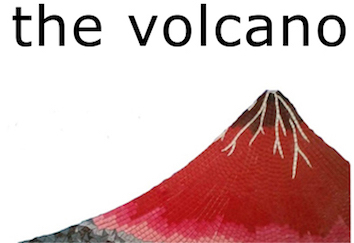 Isn’t there something unequivocally politically good about inclusion and diversity? When people like Tim Stevenson use the plural “we” to refer to all queer and trans people in Vancouver, as if most of us have anything in common with Tim Stevenson aside from not being heterosexual, the limitations of the multicultural construction of identity become clear. But many of us who supposedly belong to more particular, marginalized communities (for example, queer and trans people who are also Black, Indigenous, or people of colour) do not feel like “community” materially exists in our lives, or that community is precarious and quick to dispose of people. We may feel real affinities for one another on the basis of the shared experience of structural powers (e.g. cis-heteronormativity, white supremacy, colonization, or imperialism), but when those affinities assume a common politics, we veer dangerously close to frameworks of liberal multiculturalism, wherein the pressure to assert an abstract unity results in incoherent political demands. Two years ago, City Council voted that Vancouver adopt an Access Without Fear policy, so that migrants, refugees, and undocumented people can access municipal resources without fear of being detained or deported. The same morning of the Year of the Queer launch, Sanctuary Health held a news conference outside City Hall reporting that nothing has changed in these two years, despite their ongoing participation in the Mayor’s Working Group on Immigration, which they decided to withdraw from. People are still afraid, municipal service providers are largely unaware of the Access Without Fear policy, and cops still act like border guards every chance they get. Sanctuary Health’s main goal is building a community of migrants who can share resources and support each other materially. As Byron Cruz explained to me in an interview, policy is part of the bigger political picture, but their focus is to “build from the bottom.” None of the queers attending the Year of the Queer launch showed up for the protest, but if they had, I wonder how they might have interpreted it—particularly Sanctuary Health’s decision to abandon their seat at the City’s table. 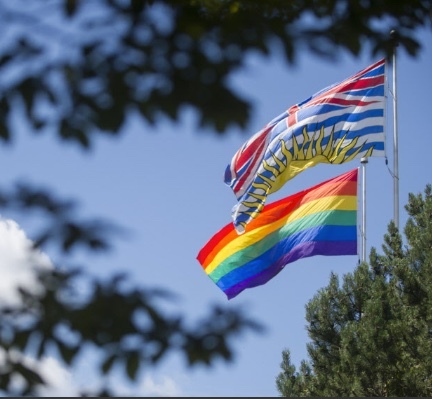 Rather than celebrating the rebranding of the City of Vancouver as “queer friendly,” we should focus on actually building politicized communities—not the symbolic community forged from the imagination of liberal democracy, wherein collections of individuals each possess the same identity characteristic and by extension political interests, but the kind of radical class and race-conscious, queer and trans community struggle that birthed Pride. Commitment to such a queer struggle would necessarily entail confronting the reality that portions of the queer population who occupy or aspire to occupy positions of structural power may increasingly respond antagonistically to a politics of queer liberation. 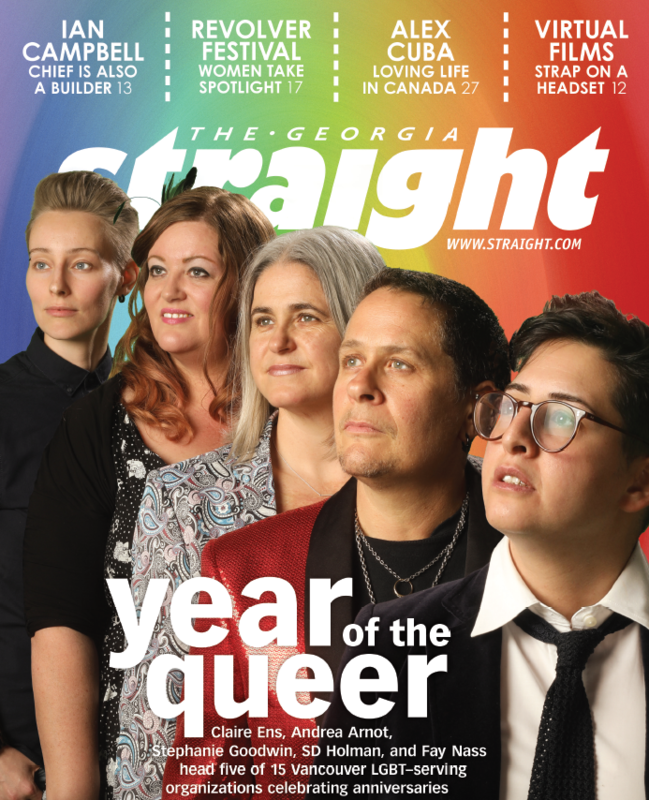 Thinking about who wasn’t in Council Chambers last month is important, but if our goal is liberation, we need to go beyond diversifying the cover of the Georgia Straight or the the City’s cultural mosaic, towards developing a politics that resists being folded into, or relying upon, liberal Canadian ideology.